If you’ve tried to make a habit of reading the Quran regularly, you’ll probably have experienced this. There are periods of time when you just don’t feel like doing it. It also happens to beginners of Quranic studies, be it tajweed or Arabic. Sometimes we can’t even figure out the reason behind this block. So here are some causes that prevent making the Qur’an habit to help us better understand the problem and overcome it. If one holds this belief, one will probably never learn how to read the Quran, even if he or she becomes an expert in tajweed. That’s because the process of learning is incomplete without trying and making mistakes in the way. A baby won’t ever learn to walk if he’s scared of falling down. Here the Messenger mentions two kinds of people. The first one is a proficient reciter of the Quran who finds little or no difficulty in it. The second one is the opposite – so he must be un-proficient. He “tries” to recite the Quran. 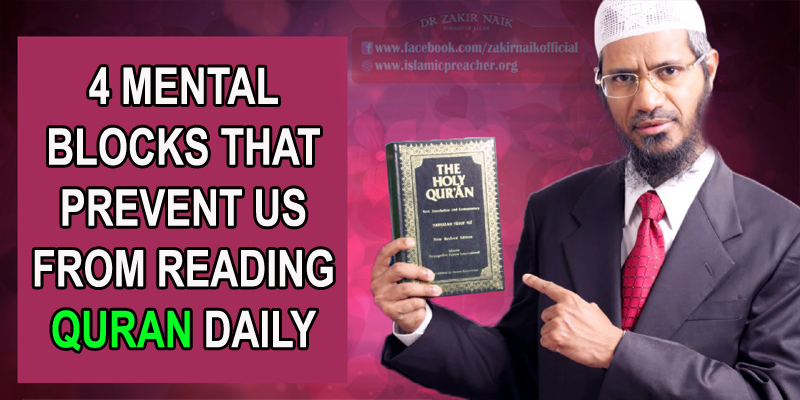 It’s not only okay for him to recite the Quran despite making mistakes, but he also gets double reward – because he finds it difficult and despite that he keeps trying. Sometimes one just can’t find free time for daily Quran recital. The day flies away busily and one doesn’t realize it, and at night one is too tired to sit down and struggle with the Quran. Get rid of all distractions for that half hour and dedicate it completely to Allah’s Word. This might sound a bit confusing so let me explain my case. I stopped reciting the Quran for a while without realizing the reason behind it. After thinking it out, I realized that I’m scared that, since my attention wanders while reciting the Quran, I’m not giving the Qur’an its due and disrespecting it. So, in the fear of disrespecting the Qur’an, I stopped reciting it. Satan’s tricks are intricate like spider’s waves, but they are also as flimsy. One who doesn’t understand much Arabic will undoubtedly find it difficult to attend to the Quran completely, and that’s part of the “trying” mentioned in the hadith I quoted above. The same logic as point 1 applies here too – a baby won’t learn to speak without babbling meaningless words. One can’t begin, for example, by trying to recite a Juz daily. A principle of learning is that the material needs to be challenging but at the same time not too difficult. The Quran should make you peaceful, not increase your level of cortisol. So start easy and gradually keep stepping up. In sha Allah a Juz daily will soon become effortless.